“They did what?” I leaned closer straining to hear my elderly aunt’s thin voice. I imagined how the scene might have gone. My dad, at nine years old, could have studied the messy owl’s nest far up in the pine tree and said, “I’ll do it.” He grabbed the trunk as high as possible, dug in with the sides of his worn boots and shinnied up to the first branch. On to the second, then the third. “Yep. My dad reached up into the nest. Feeling the downy feathers, he grabbed the first owlet. He held it a moment, feeling the fast thump-thump of its heartbeat. He dropped it into his pocket and WHACK! “Ah!” My dad looked up. 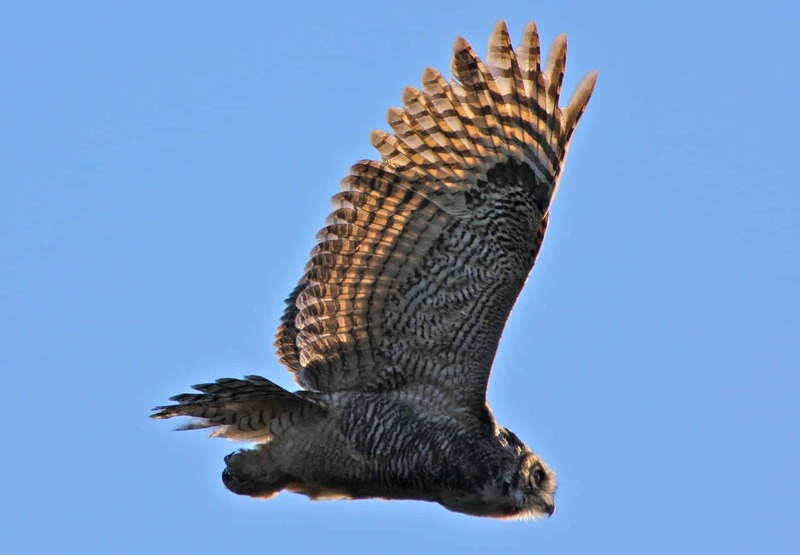 A huge owl hovered just above him, its deadly talons outstretched, preparing to dive-bomb him again. My dad snatched the other two wiggly owlets, dropped them into pockets, and climbed down the tree. I blinked, coming back to the present. “Do you know what happened to the owls?” I asked my aunt. Shortly after my aunt and I got together, she, too, passed away. I treasure the gift she left me. It’s comforting to imagine my dad with the wild critters he tamed curled around his feet, flying above his head, and resting on his shoulders. And therein lies the power of story.